Available at Safari Festival! 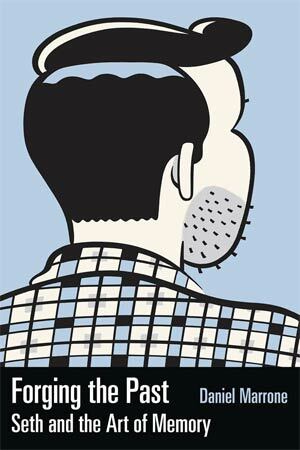 Back in June, Liam Cobb’s Shampoo won the Audience Award at this year’s ELCAF. 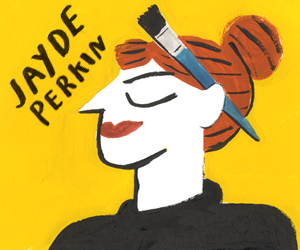 Deserved recognition for a small press creator whose experimental and inventive approaches to the comics page have been building up a steady following over the last year or two, and an artist we first covered nearly five years ago at Broken Frontier here. 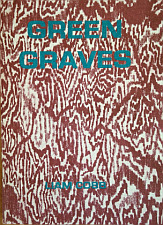 Green Graves follows a disastrous 1905 jungle expedition and the deteriorating relationships between its three participants. Claustrophobic and feverish in delivery, it’s a highly atmospheric drama and expertly paced piece of storytelling that underlines Cobb’s dexterous grasp of the powerful possibilities of sequential art. The book debuts at Safari this Saturday and is one of your must-buy comics of the festival. Read the Broken Frontier review here. Ever since he broke into the indie comics scene in the early 1990s with his seminal series Palookaville, award-winning Canadian cartoonist and book designer Seth has pushed the boundaries of the medium with his nostalgia-laden musings on the human condition. An intrepid, self-aware explorer of history, Seth’s unique voice reminds us not only of the past that was, but also a past that could have – and maybe should have – been. This new volume by comics scholar Daniel Marrone sounds the depths of Seth’s art and themes by presenting a survey of his work that transcends simple nostalgia to celebrate the complex, emotional touchstones that resonate throughout our lives. Featuring an extensive interview with the cartoonist, as well as pages and pages of his stunning artwork, this collection is a must-have for anyone with a passion for both the history of comics and the technical virtuosity of one of the form’s most respected practitioners. Available at Safari Festival! 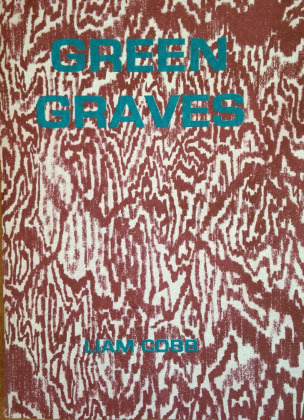 A couple of years back Breakdown Press published Gardens of Glass (reviewed here at Broken Frontier) collecting the Decadence Comics work of Lando. That compilation of socio-political commentary wrapped up in the standards of science-fiction storytelling was one of 2014’s most welcome releases and indicative of Breakdown’s commitment to bringing vitally important work to wider audiences. 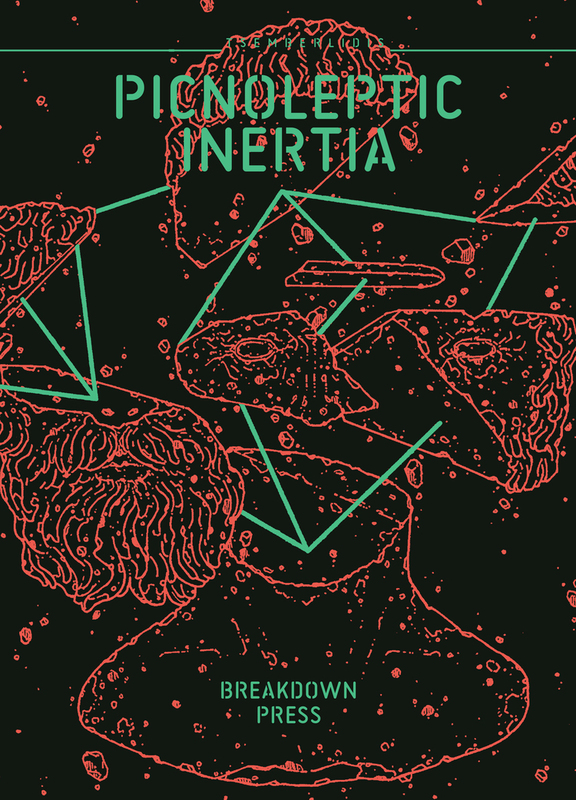 This week sees Decadence co-founder Stathis Tsemberlidis also get the Breakdown treatment with Picnoleptic Inertia – a book of “Cronenbergian metamorphosis, Lovecraftian fungi and radical politics” – launched in time for Safari Festival. 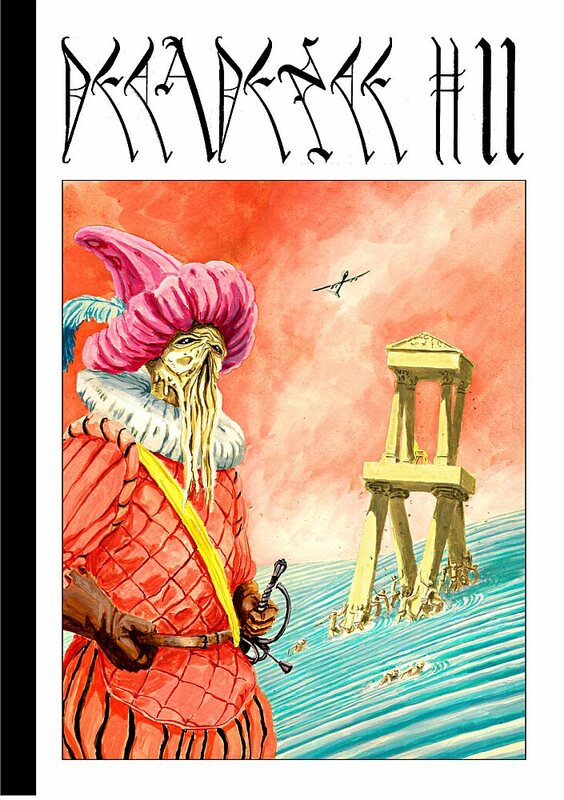 Tsemberlidis’s meticulously crafted illustrative style will no doubt shortly be appreciated by a whole new readership. You can see a preview of the book here at BF and meet both Stathis and Lando at this week’s Gosh! Comics and Broken Frontier Drink and Draw. 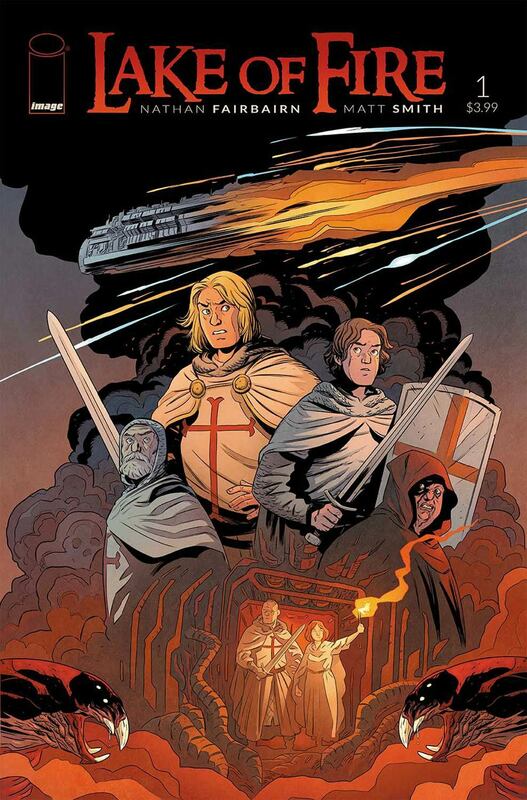 Considering the Crusades’ lasting impact on Western civilization and rich potential for complex storytelling, the fact that we haven’t seen more comics set during the period is frankly surprising. Writer and co-creator Nathan Fairbairn (colorist of titles such as Scott Pilgrim and Nameless) joins artist Matt Smith (Barbarian Lord) for a new series that showcases the setting’s possibilities along with an extra dash of sci-fi action. During the height of the Albigensian Crusade in 1220 AD, Pope Innocent III’s army is sweeping across France in an effort to stamp out the Cathar heresy. However, plans go awry when a new challenger from beyond the stars crash-lands in the midst of the fray. Smith’s art recalls the Dragon’s Lair franchise with its smooth character design and gorgeous coloring, providing a contrast to the series’ deeper themes of faith, ideology, and the acts committed in their name. This double-sized first issue includes 44 pages of uninterrupted story. Available at Safari Festival! 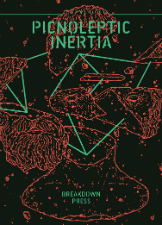 Stathis Tsemberlidis’s Picnoleptic Inertia may be looking back at some of Decadence Comics‘ past glories but the collective of sci-fi creators are also looking to the future this week with their latest anthology launching on Thursday August 25th at the Safari Festival-hosted Decadence Exhibition at the Sassoon Gallery in London. With a bumper 118 pages from the likes of Leon Sadler, Emix Regulus, Esther McManus, Lala Albert, Dunja Jankovic, Lando, Jon Chandler, Tsemberlidis, Inés Estrada, Apolo Cacho, Alexis Beauclair and Noel Freibert, Decadence #11 is set to be one of the most essential issues of this always challenging and boundary-pushing book to date. You can pre-order a copy online here. On par with Image Comics wonderfully weird Island anthology, IDW’s fantastic anthology series Amazing Forest has by-and-large snuck under the radar of many comics fans since January this year. This week, a trade paperback collecting all six issues hits the shelves, and it’s the perfect way to acquaint yourself with this excellent endeavor. Each issue consists of a handful of eclectic sci-fi-fantasy short stories written by Ulises Farinas and Erick Freitas of Judge Dredd fame. The kicker, though, is that every story features art by a different (up-and-coming) illustrator, introducing readers to a visually stunning smorgasbord of new artistic talent. 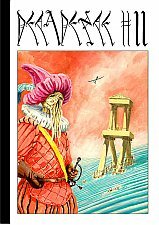 With over two dozen tales throughout the six-issue run, the logistics alone of contacting, corralling, and committing all this pencil power to paper each month must have been a daunting task; but, one look through the pages of this collection will demonstrate that the effort most certainly paid off. 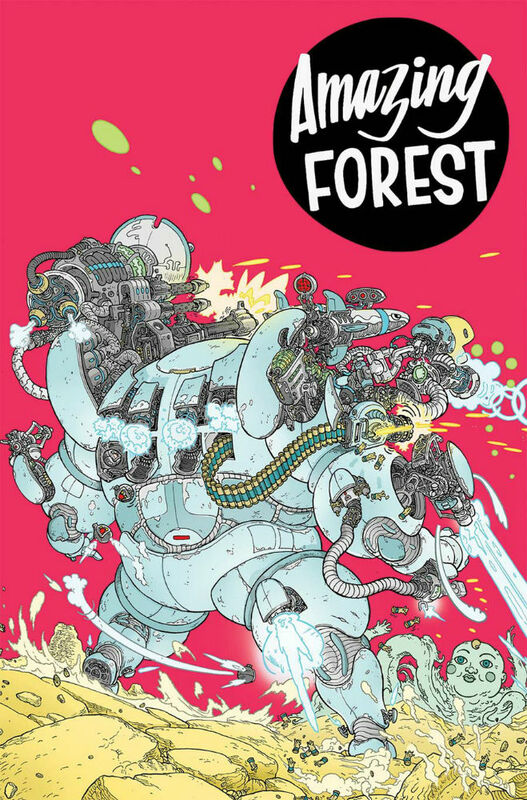 Amazing Forest is definitely a comic for people who love the medium, for it showcases solid storytelling and exciting art in short, easily-digestible forms. With this new TPB compendium, readers will surely get their money’s worth and will clearly see the forest for the trees! Available at Safari Festival! 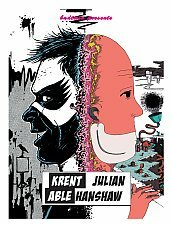 Harking back to another era of ephemeral underground comix distribution, Krent Able and Julian Hanshaw’s joint newspaper-format team-up is limited to just 50 copies at this weekend’s Safari Festival. Given the calibre of the two artists involved – Hanshaw was a British Comic Award nominee last year for Tim Ginger and Able is the macabre mind behind the Big Book of Mischief – this one has “rapidly sold-out” written all over it. The darkest social satire and the most extreme body horror make this one of the most uncompromising comics you’re likely to pick up at Safari this weekend. An unmissable double act extravaganza from two of the most distinctive creative voices in UK comics. 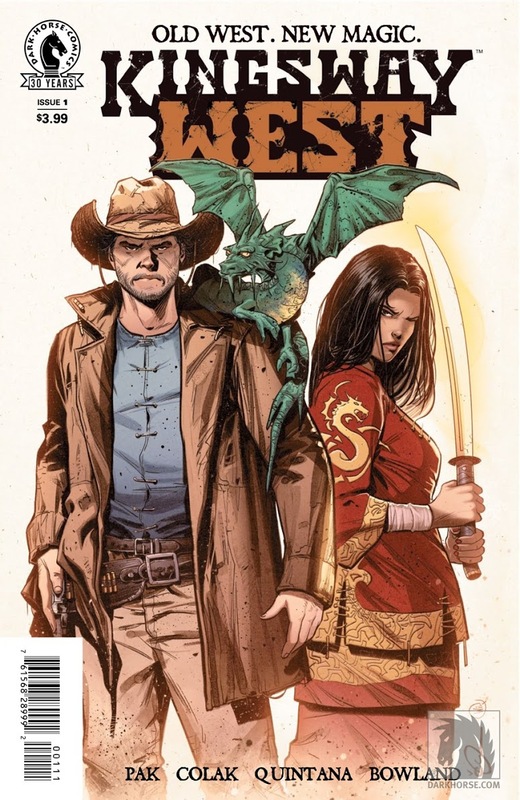 This fantastical new take on history of the American Old West begins here! For 13 years, Kingway Law fought for the Chinese Queen of Golden City in a war against the Mexican-ruled República de los Californios for control over the reserves of magical red gold. With the war over, Kingsway wants nothing more than to live out the rest of his days in peace with his wife, Sonia. But when a new cache of red gold is discovered, Kingsway finds himself right back where he started and he must join forces with a mysterious sword-wielding woman named Ah Toy in order to find of the Queen’s soldiers and find his kidnapped wife. This first story arc is set to run for 4 issues, but should the series do well, we’ll soon see more of this grand epic in the making. Available at Safari! This week’s Staff Picks could quite easily have just been a Breakdown Press Special given how many books the London micropublisher (and Safari Featival organiser) are debuting in the next week. 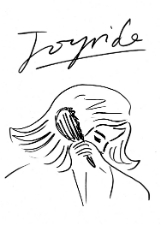 One of the most intriguing among that number is Joyride by Zoë Taylor, an artist with a background in the world of fashion. Focusing on the events following a party, it concerns a mysterious woman hot-wiring a car and taking it on an illicit drive. With minimalist but highly expressive visuals, and an oblique storytelling style, this looks set to be yet another festival debut to be jostling for the top spots on your Safari shopping list. Watch out for a preview later this week at Broken Frontier. 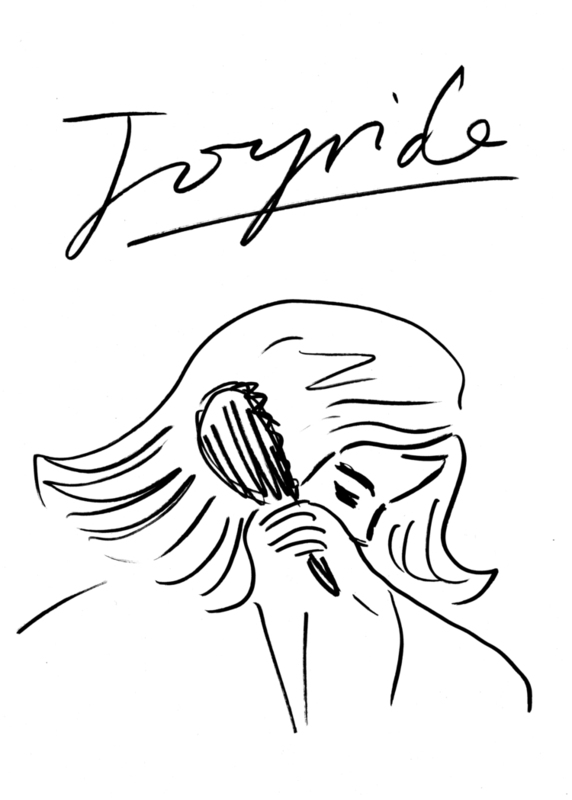 You can pre-order Joyride online here. Marvel’s Epic Collection series has provided long overdue accessible middle ground between their now discontinued black and white Essentials series and the prohibitively expensive Masterworks. For nostalgists, and for those newer fans wanting to dip into the House of Ideas’s rich history, its bumper collection of issues (and fascinating accompanying material!) provides a welcome window into the Marvel of yesteryear. 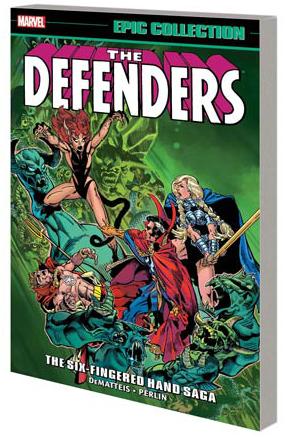 The latest compilation reprints one of the most fondly-remembered story arcs in Defenders history as J.M. DeMatteis and Don Perlin introduce us to the threat of the Six-Fingered Hand and Marvel’s horror characters makes themselves known to the world’s greatest non-team. Also look out for a classic Captain America crossover, the death of a much-loved character and Spider-Man’s brief “membership”! Collects Defenders #92-109, Marvel Team-Up #101 and Captain America #268.